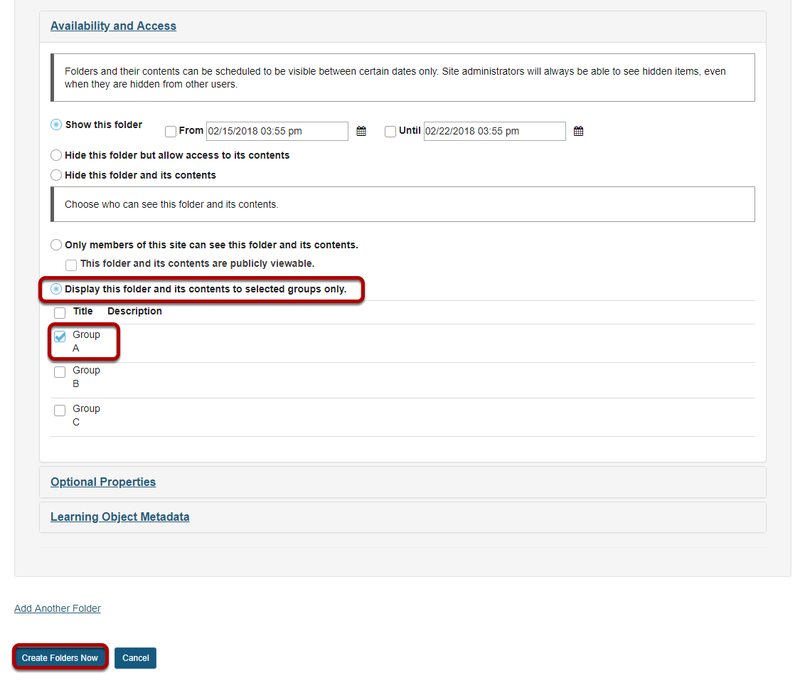 Sakai Guides and DocumentationSakai Basics Resources ToolHow do I create a group folder in Resources? Zoom: Enter name and add details. Under Availability and Access, select Display this folder and its contents to selected groups, select the group name, then click Create Folders Now.